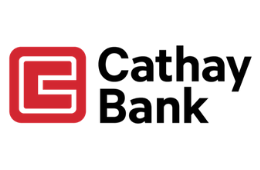 At Cathay Bank, we’re inspired by the initiative, goals and dreams of our customers. We’re energized by their drive to embark on new journeys, and it’s why everything we do starts with understanding where our customers want to go — and getting them there. Whether buying a new home, expanding a business or putting down roots in a new community, we understand the unique needs and challenges of navigating unfamiliar territory. Along with our extensive experience and innovative thinking, we bring an open mind to every interaction and a willingness to work with customers in ways that best suit their needs. We’re there for every aspiration and ambition — determined to do all we can to help customers get where they want to go.